Great excitement here - we're packing our bags and heading off to the US this weekend to launch the third Kerrygold Ballymaloe Literary Festival of Food and Wine in New York. We want to tell the whole world - we're aiming to make it the 'Sundance' of Literary festivals! The festival team of Rebecca Cronin, Rory O'Connell and I are honoured to be joined for the launch by Paschal Donohoe, Minister for Transport, Tourism and Sport, Niall Gibbons, CEO of Tourism Ireland and Jeanne Kelly of Kerrygold, our festival sponsors. I'm personally looking forward to tasting the new big thing, which is taking the US by storm - American coffee with a blob of Kerrygold butter. 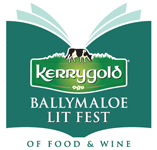 This year's Kerrygold Ballymaloe Litfest runs from the 15th-17th May. We hope we can tempt you to join us. 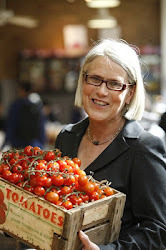 Our speakers on food issues this year include: Patrick Holden of the Sustainable Food Trust and John McKenna. And this year's top food bloggers include David Lebovitz, Jack Monroe - A Girl Called Jack and Caroline Hennessy founder of Irish Food Bloggers. Head over to the website to check out this year's full line up. Tickets went on sale in a flurry of excitement on 7th of January, some things booked out in a matter of minutes, but there is still availability for many events, so you might want to browse the website ASAP. The Kerrygold Ballymaloe LitFest is the only festival of its kind in Ireland. And those of you who came last year or the year before will know that it is a weekend filled with fascinating facts, inspirational stories, intriguing discussions, incredible knowledge, fantastic music and of course, lots of delicious food and drinks. Don't miss it, it's a blast!